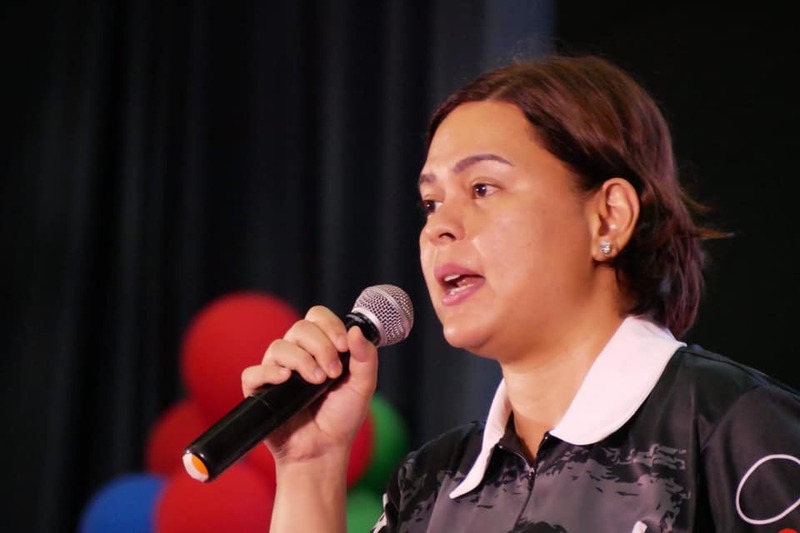 Davao City Mayor Sara Duterte-Carpio has urged Boholanos to give former Cabinet secretary Leoncio Evasco Jr. a “deafening” majority during the May 13 Bohol gubernatorial poll. Duterte, who heads the Hugpong ng Pagbabago (HnP) party, issued the call in a video message sent to the Evasco camp on Friday. The video, in effect, clarified Duterte’s position in relation to the gubernatorial race. Earlier, Duterte raised the hand of Evasco, along with his running mate Tommy Abapo, during the huge HnP rally in Tagbilaran City. However, the camp of Partido Demokratiko Pilipino–Lakas ng Bayan gubernatorial candidate Arthur Yap released campaign tarpaulins printed with a photograph showing the presidential daughter raising the congressman’s hand. To clarify her stand, Duterte sent Evasco a video message. “Maayong adlaw sa among mga kaigsuonan dinha sa Bohol. Daghang salamat sa inyong pagpakita og pagsuporta sa Hugpong Ng Pagbabago sa amoang rali diha sa Tagbilaran City kauban si Jun Evasco ug ang ABAKA sa ilalom ni Norris Oculam. Karong umaabot nga eleksyon, ipakita nato ang atong makabungog nga boto ug suporta para sa walay laing gobernador sa Bohol si Jun Evasco. Atong suportahan ug botohan,” Duterte said in her message that lasted 34 seconds.